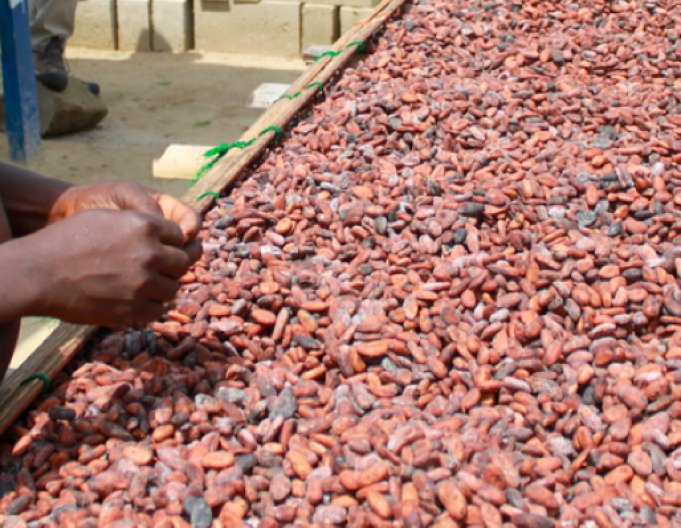 Famous for its chocolate production, Switzerland relies on Ghana for half its supply of cocoa beans, even as the West African nation now focuses on other export products. A new public-private Swiss partnership aims to inject new life into cocoa bean farming. SUHUM – It was one year ago that Ghana’s president John Atta Mills announced the country's first-ever launch of an oil platform. The December 15, 2010 pomp-filled ceremony, in front of television cameras, marked Ghana's arrival among the ranks of oil producers. Experts say that was also a bad day for the country’s cacao producers, as the raw material -- a traditional Ghanaian export -- would no longer get the attention or investment necessary to be sustainable. The Ghana Cocoa Board, a state-run organization that promotes cacao bean production, says that local trees have become too old, threatening to make harvests even more meager. If the 2011 harvest set a record it was only because of exceptionally favorable weather. And beyond the neglect of tree renewal initiatives, there is also a looming shortage of farmers. The average age of cacao farmers is around 55 years old – in a country where life expectancy is 58. The Ghanaian entrepreneur lived in Switzerland for more than 20 years, then decided to return to Ghana to take up sustainable cacao farming. He is now located in Suhum, in the eastern part of the country, working with 2,500 small farmers who grow cacao organically. Glover’s initiative was possible thanks to his close partnership with Pakka, a Zurich-based company specialized in the development of fair trade for organic produce from southern countries. Pakka also sells products like nuts, dried fruit – and cacao. Part of the organic cacao from Ghana is thus delivered to Max Felchlin AG, a company in the canton (district) of Schwyz that provides chocolate makers and restaurants with semi-finished chocolate products. A little more than four years on, the project has cost 1.3 million Swiss francs ($1.38 million). Nearly half (47%) came from the Swiss State Secretariat for Economic Affairs (SECO). The private sector (notably Pakka and Max Felchlin AG) and non-governmental organizations in Ghana came up with the rest.